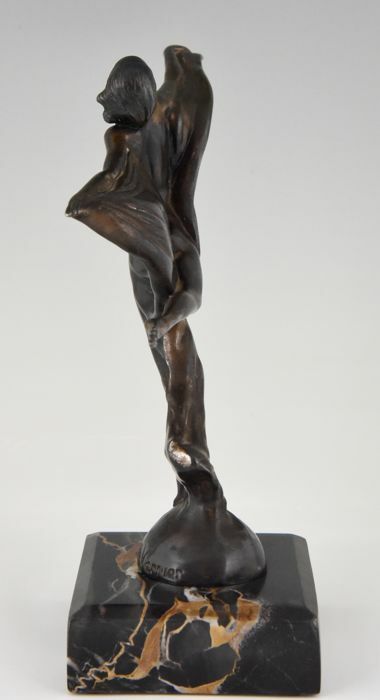 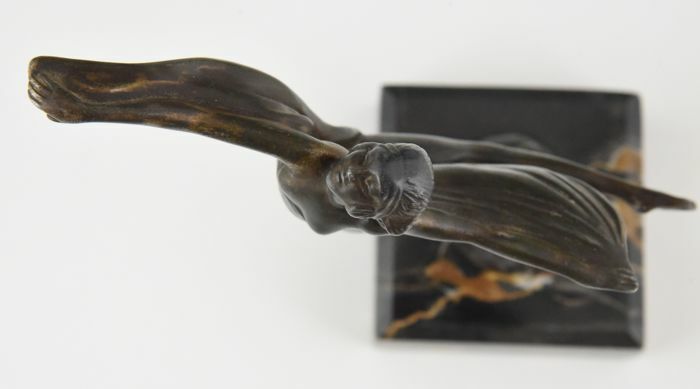 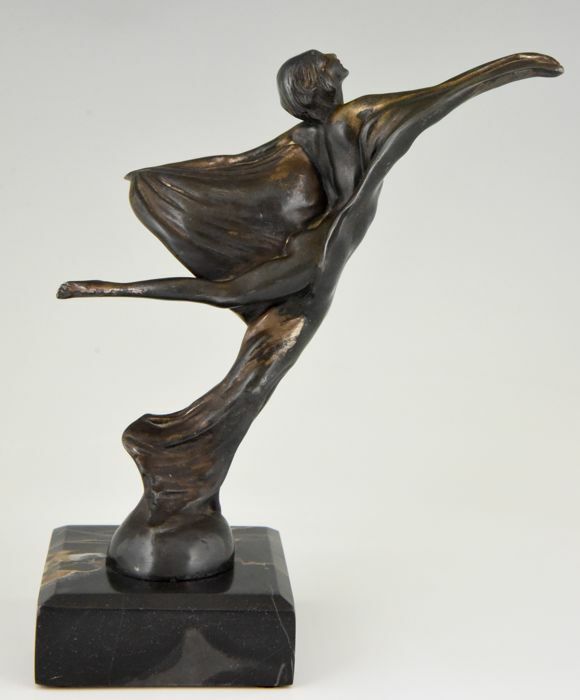 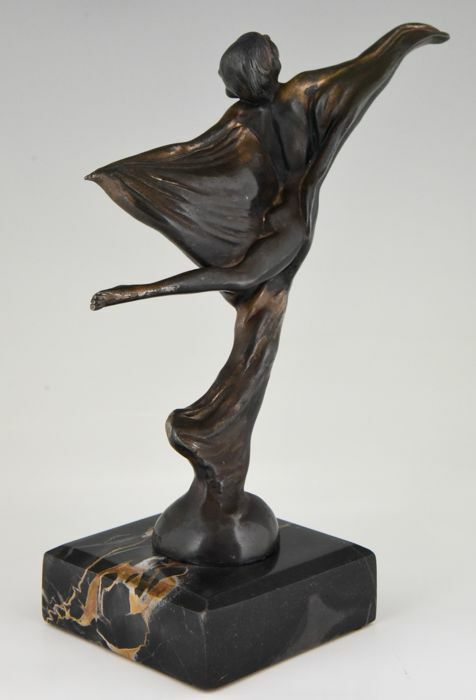 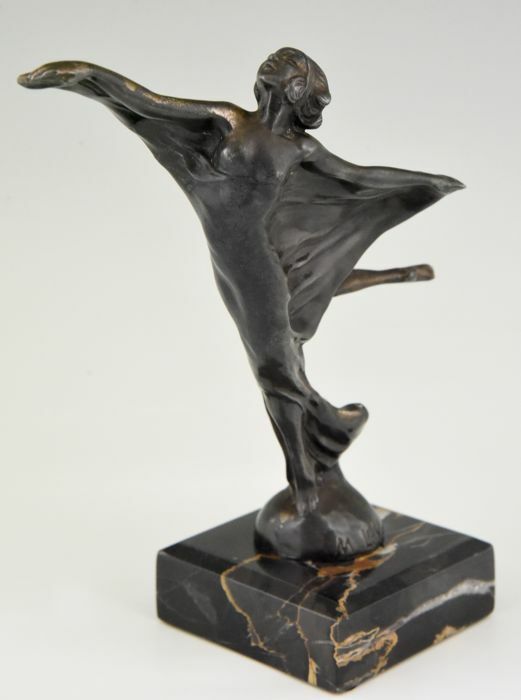 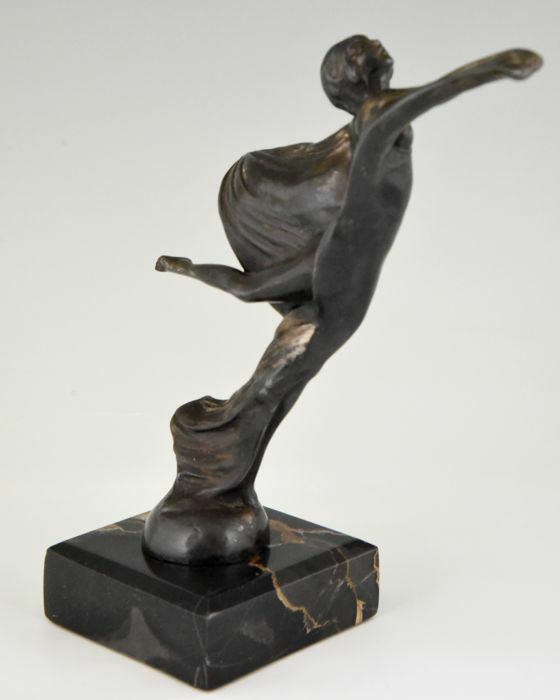 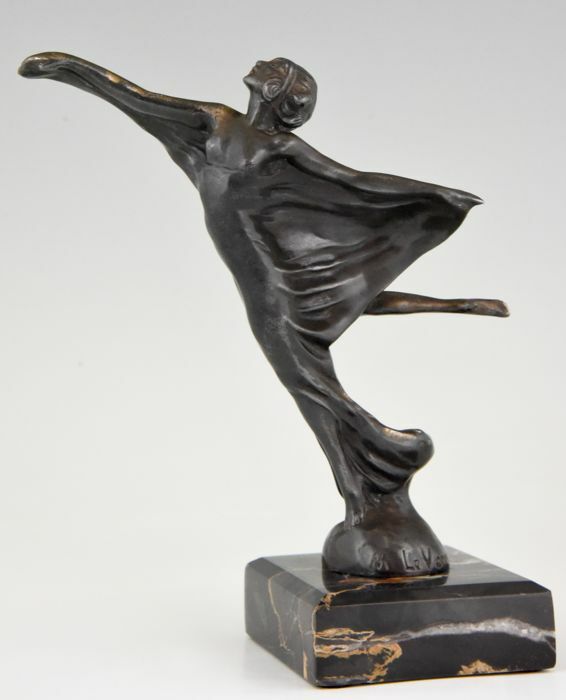 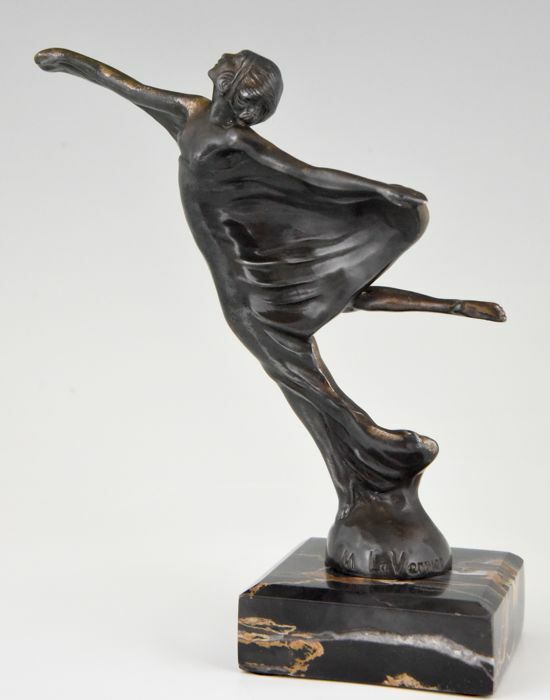 Elegant Art Deco car mascot, hood ornament in the form of a woman with long gown, arms stretched out. 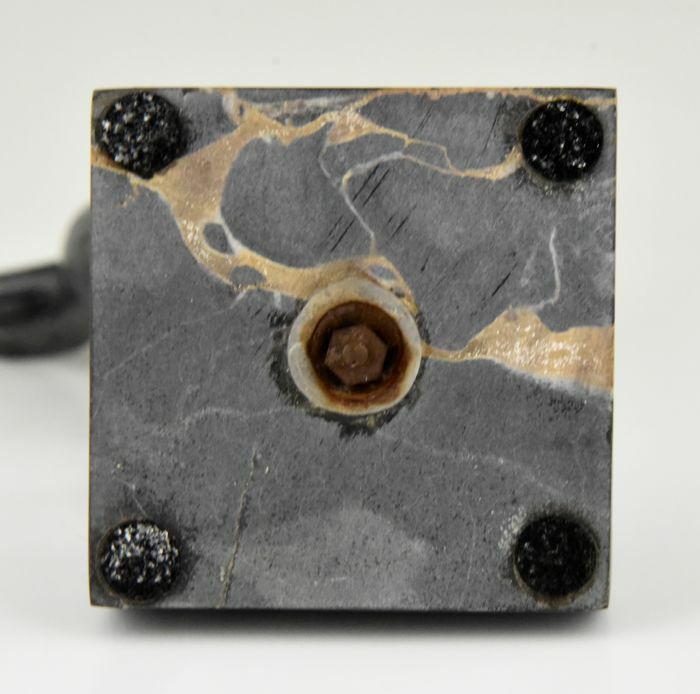 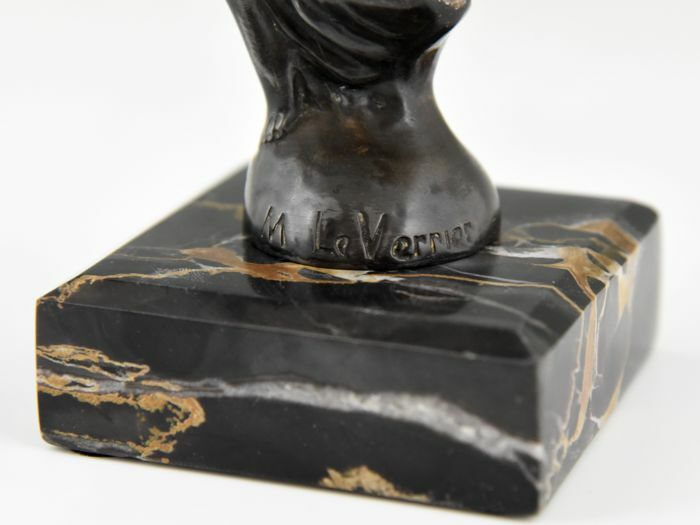 Signed Max Le Verrier, France 1930. 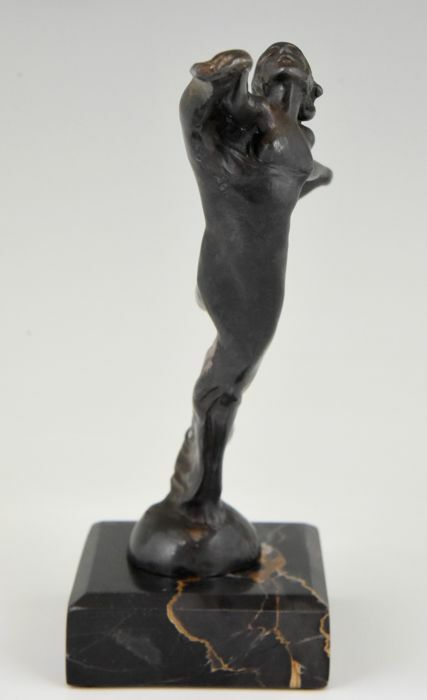 “Mascottes automobiles” Michel Legrand, EPA éditions.